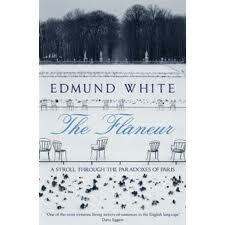 So says Edmund White on the back cover of The Flâneur. Drawing on his experience of living in Paris in the 80s, he takes you on a random journey around the city. From St Germain, home to some of the world's finest intellectual minds, to Parc Monceau, close to the Arc de Triomphe, where eminent banking dynasties lived in kitsch opulence. There are tales of Sartre, Baudelaire, Josephine Baker, Strindberg, Napoleon: painters, philosophers, writers and aesthetes. As White seemingly stumbles upon place after place, you learn about the hidden history and all of the cultural, intellectual and political significance. This is a fascinating - if at times rambling - guidebook to Paris and an extraordinary way of life.